As if across the last year we’d not seen enough blog-promulgated microgenres burst forth as too-hot trending topics, the coming of spring brings with it the very latest in a long line of stylistic revolutions: along with the Weeknd’s Drake-endorsed House of Balloons, Frank Ocean’s debut mixtape Nostalgia, Ultra, available as a free download on his personal Tumblr, is situated at the forefront of what’s considered a kind of “new wave” of independently produced and released R&B. Significantly, I think it’s worth noting that House of Balloons and Nostalgia don’t have a great deal in common aesthetically. They share a certain affinity for afterparty atmospherics and morning-after “think pieces,” it’s true, but where the Weeknd trade almost exclusively in cohesive, immaculately crafted slow-jams, Ocean’s stylistic tendencies veer way off into left-field, covering everything from the Coldplay-sampling pop song “Strawberry Swing” to the straight-faced half-cover of (yup) “Hotel California” that is “American Wedding.” Still, the two share some defining sensibilities, and see overlap in the area most important to the people calling these shots: they share the same admiring audience. The internet peanut gallery, so adept at bestowing ridiculous names upon burgeoning trends before they’re even fully formed, has already deemed the Weeknd and Frank Ocean’s particular brand of melancholy mood-rap “PBR&B,” the upshot of which, however half-jokingly, is that this is a decidedly “hipster-friendly” iteration of a genre that I guess usually isn’t. (That same peanut gallery is also quite adept at, and is always very concerned with, deciding who is a hipster and why.) But beyond it’s unsurprisingly stupid name, “PBR&B” is more than a little problematic in so far as it assumes that this stuff is a diluted and therefore inferior version of “pure” R&B designed for people who don’t listen to the real thing, which reeks of condescension. 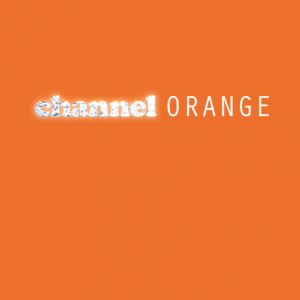 Of course, Nostalgia never aspires to be “pure” R&B in the first place, because Frank Ocean—aka Christopher “Lonny” Breaux—is too voracious and omnivorous a listener to operate within the confines of a single genre, even if that genre is the clear starting point from which he spreads himself outward. 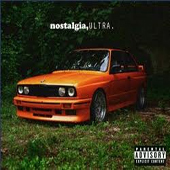 In fact, if there’s a simple reason that the Weeknd and Frank Ocean are already being pigeonholed as music for hipsters, it’s probably because both House of Balloons and Nostalgia, Ultra approach R&B and hip-hop with a wealth of other influences—indie rock seemingly chief among them—right there on display. Another label thrown around a lot with this crew is “post-Drake,” and it’s not only because heartache and introspection are the principal motifs of the work (although it’s difficult to imagine the party-life shock stories of a song like “Novacane” flying before Thank Me Later  made woe-is-me posturing cool). Rather, it’s Ocean’s curatorial sampling that most betrays a Drizzy influence, recalling with the openness of its cherry-picking Drake’s Peter Bjorn &John- and Santogold-copping So Far Gone mixtape (2009). Although that freedom is the cause of Ocean’s few outright misses (noble though the effort may be, not even an Odd Future associate can make an Eagles song cool), it’s ultimately what makes Nostalgia such a consistently fresh and interesting listen. Ocean makes good use of both Coldplay’s “Strawberry Swing,” which though heavily saccharine comes off as cute and endearing, and MGMT’s “Electric Feel,” which by all rights shouldn’t work as the closing song on a largely R&B mixtape but nevertheless does. And “Lovecrimes,” possibly the strongest cut tape-wide, benefits hugely from the tasteful Eyes Wide Shut vocal sample running just beneath the surface, adding depth to an already strong track without leaning too heavily on the preexisting drama of the monologue. Introspection of this kind can be a difficult thing to pull off convincingly, but Nostalgia never veers too far into sentimentality to let its edges be sanded down. And though he doesn’t have Drake’s knack for hashtag punchlines, he also strikes me as a much more earnest, and therefore much less smarmy, character, which bodes well for his long-term likability. And really, if Ocean’s going to be substituting R&B’s swagger and braggadocio for sad-sack self-reflection, it’s probably for the best that he’s a character we feel pretty good about relating to. This is the self-deprecating voice of a new wave, after all—the king of the morning-after set. There are worse people you could wake up beside.